A revolutionary system that brings together stationary and ambulatory oxygen systems in one safe and simple device. 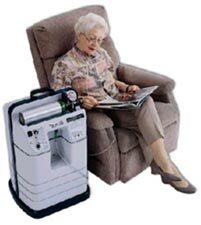 Includes a stationary oxygen system that is utilized by patients in their homes. A patented filling mechanism is incorporated into the stationary unit. 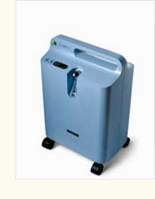 This enables patients to fill their portable oxygen cylinders directly from the stationary oxygen source. Compatible with CHAD's reliable family of oxygen conservers. The DeVilbiss® Five Liter Concentrator (with or without OSD) is designed to be reliable, quiet, energy efficient and lightweight. DeVilbiss® has taken the world's most reliable pressure-vacuum system and downsized it into the lightest, most compact and easy to transport three-liter concentrator available with or without OSD. by the FAA* for use on commercial airlines. their airline before flying with EverGo. The iFill unit can be placed and used virtually anywhere in the home, minimizing the noise and disruption to daily life. Partially filled cylinders can be easily topped off. Provides the flexibility to fill most cylinder sizes including M4,M6,ML6,C,D and E.
Intuitive operation with instructions printed on the unit in English, French and Spanish. -Regain Your Independence With a greater ability to come and go at will, Inogen One patients can enjoy more freedom and independence. -So Quiet One of the quietest oxygen devices available, most people don't notice that the Inogen One is on. -Small and Lightweight The Inogen One is easy to transport and unobtrusive making it convenient in the home or on the go. At 9 lbs., it weighs just a little more than a gallon of milk! -Surprising Energy Efficiency The Inogen One uses about as much power as a 40-watt light bulb. -Easy Operation The Inogen One is easy to use, creating greater independence for you, your provider, and your physician. -Versatile The Inogen One system can also be used as a permanent system for home, car, ambulating, and travel use. 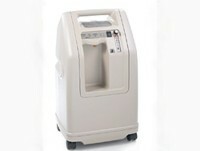 Delivers up to 10 LPM of oxygen reducing the delivery costs associated with 5 LPM-and-above oxygen patients. The M10 is engineered to reduce the cost of providing oxygen at higher liter flow and has fewer parts than any other concentrator on the market. Fewer parts, combined with greater reliability, help you to reduce expenditure on accessories and unnecessary inventory. The Millennium M10 is designed to be the highest performing and most reliable oxygen machine available. 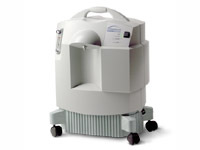 The Millennium Concentrator is designed to be reliable, light and easy to move around, and quite. With 60% fewer parts, this concentrator is simple to service, and requires less maintenance over its lifetime. 5 Yr. Warranty. 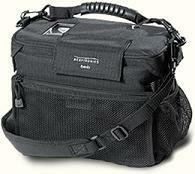 Unlike the suitcase concentrators of the past, the OxLife Excel is much more practical. Weighing only 28 pounds, the Excel is one of the lightest 3 liter oxygen machines on the market! 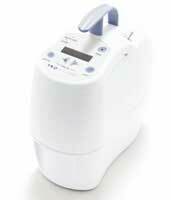 Providing 3 liters of continuous flow oxygen, the Excel is designed for continuous, everyday use at home or away. The Excel requires little maintenance by the patient and is very user friendly. The Excel is that breath of fresh air that traveling oxygen users have been waiting for. Highly reliable, low-maintenance, trouble-free option. Ensures consistent, high oxygen concentrations. Flow adjustable in (1/2) liter increments to 5 lpm. Pressure-based system automatically adjusts valve cycle time. Extensive alarm and safety system protects patients. Top handle, quick access door for both filters, low flow alarm and diagnostics memory. Homefill™ II compatibility. Available with or without oxygen sensor (SensO2™) 5-year warranty. 3 and 6LPM Models also available. Oxygen supply that is light weight, versatile and easy to transport, as it is not classified as hazardous airfreight. The Sequel Integra concentrator can address your oxygen supply needs. It does not need a special importation license and it can perform the same functions as the full sized oxygen cylinder. The 10LP is suitable for use in remote site environments; it can produce flow rates suitable for treating patients in an emergency situation. 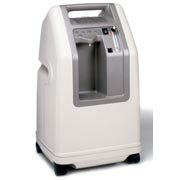 Efficient and reliable, this oxygen concentrator has a unique patented ATF design which integrates proven pressure swing adsorption principles making it the most cost effective oxygen supply option. The valve is maintenance-free, self-cleaning, insensitive to contamination, and invulnerable to wear.